Autoimmune hepatitis is a chronic—or long lasting—disease in which the body’s immune system attacks the normal components, or cells, of the liver and causes inflammation and liver damage. The immune system normally protects people from infection by identifying and destroying bacteria, viruses, and other potentially harmful foreign substances. Autoimmune hepatitis is a serious condition that may worsen over time if not treated. 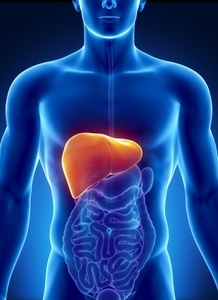 Autoimmune hepatitis can lead to cirrhosis and liver failure. Cirrhosis occurs when scar tissue replaces healthy liver tissue and blocks the normal flow of blood through the liver. Liver failure occurs when the liver stops working properly. How can Stem Cells Help Autoimmune Hepatitis? Adipose stem cell therapy is an alternative to help manage the complications of Autoimmune Diseases like Hepatitis. The stem cells have the potential to replace countless cells of the body. These undifferentiated cells may heal the body by replacing ones plagued with disease or the inability to produce a healthy immune system response by regenerating healthy new cells that can. Which Kinds of cells are used in Autoimmune Hepatitis and how are they obtained? How are Mesenchymal Stem Cells (MSC) administered in Autoimmune Hepatitis?